In Mr. Darcy’s Present, Darcy often bemoans the secular elements of the festive season. He is a bit “stuffy” about the need to purchase so many gifts - not that Darcy objects to being generous with those he loves, but he is slow to abandon the more traditional celebrations. 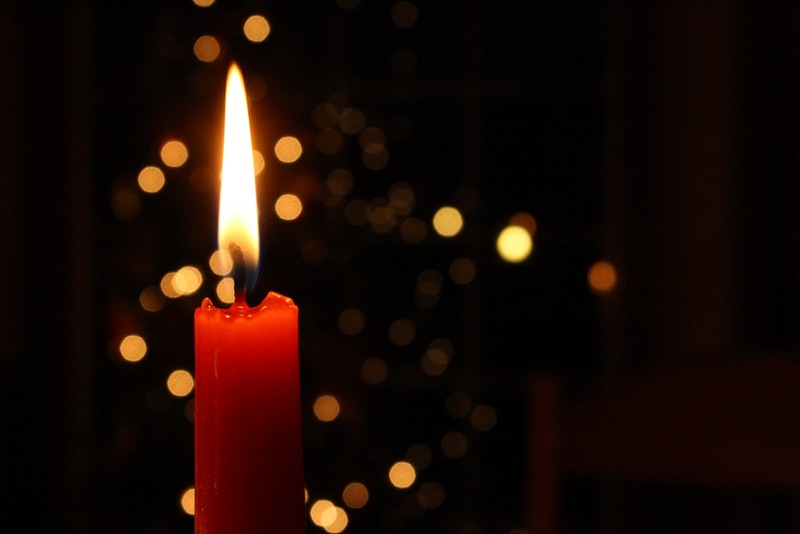 Exactly what is Christmastide? Many Protestant churches add an Epiphany season after the Christmas season, extending the celebration of Christmas for forty days until the feast of the Presentation of Christ in the Temple (Candlemas) on 2 February (or a nearby Sunday). In the Missal and Breviary of the Roman rite, since 1970, the Christmas season runs a shorter period, from Christmas Eve to the Baptism of the Lord, which depending on the place and the year can occur between 7 January and 13 January. In the Little Office of the Blessed Virgin Mary, the season runs from Vespers on 24 December till Compline on 2 February. Within the period that includes Christmastide, several days are marked for celebration, including Christmas Day (December 25), St. Stephen’s Day (December 26), Chidermas (December 28), New Year’s Eve (December 31), New Year’s Day, the Feast of the Circumcision of Christ, and the Solemnity of Mary (January 1), and Twelfth Night Eve (January 5). In medieval era Christendom, Christmastide "lasted from the Nativity to the Purification.” To this day, the Christian cultures in Western Europe and Latin America extend the season to forty days, ending on the Feast of the Presentation of Jesus in the Temple and the Purification of Mary on 2 February, a feast also known as Candlemas because of the blessing of candles on this day, inspired by the Song of Simeon, which proclaims Jesus as 'a light for revelation to the nations'." Many Churches refer to the period after the traditional Twelve Days of Christmas and up to Candlemas, as Epiphanytide, also called the Epiphany season. “You sent for me, Papa,” Elizabeth asked. She had spent many afternoons in her father’s study discussing books and enjoying quiet companionship, but Mr. Bennet rarely summoned her to his sanctuary. “Have I done something to displease you?” she inquired in anxious tones, for a frown of disapproval marked his brow. “Mine?” she asked in surprise. “I have not inquired of my brother whether he sent the parcel,” Mr. Bennet admitted. “I thought to do so, but customarily Gardiner marks his letters and packages with his initials some place on the back, not as a franking stamp, but so I know it is from him. This package holds no such markings. “Who would send me a fairing?” she said in bewilderment. “Did you not also gossip?” her father asked skeptically. “I understand, Papa,” she said obediently. 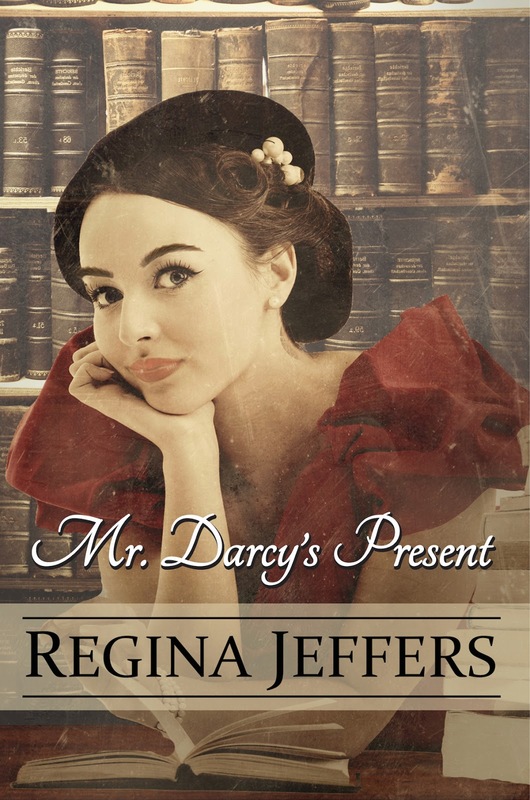 Regina is kindly offering to give away two e-book copies of 'Mr Darcy's Present' to readers here! To enter, just leave a comment on this blog post. This is open to international entrants who comment before the end of the day on Tuesday 4 October 2016. Please leave a way for me to contact you in case you are the lucky winner. Thank you so much to Regina for this informative post, entertaining excerpt and giveaway opportunity! Thanks for hosting me, Ceri. What would 'subversion' entail, that the government was trying to prevent? As the year 1645 limped towards its weary close, a war-torn England shivered beneath a thick blanket of snow. A few months earlier, parliament’s New Model Army, led by Sir Thomas Fairfax and Oliver Cromwell, had routed the forces of Charles I at the battle of Naseby. Although that defeat had struck the king’s cause a mortal blow, the royalists still refused to surrender, and the bloody Civil War which had divided the country ever since 1642 continued to rage. Under constant pressure from the armies of both sides to supply them with money, clothing and food, few Englishmen and women can have been anticipating a particularly merry Christmas. 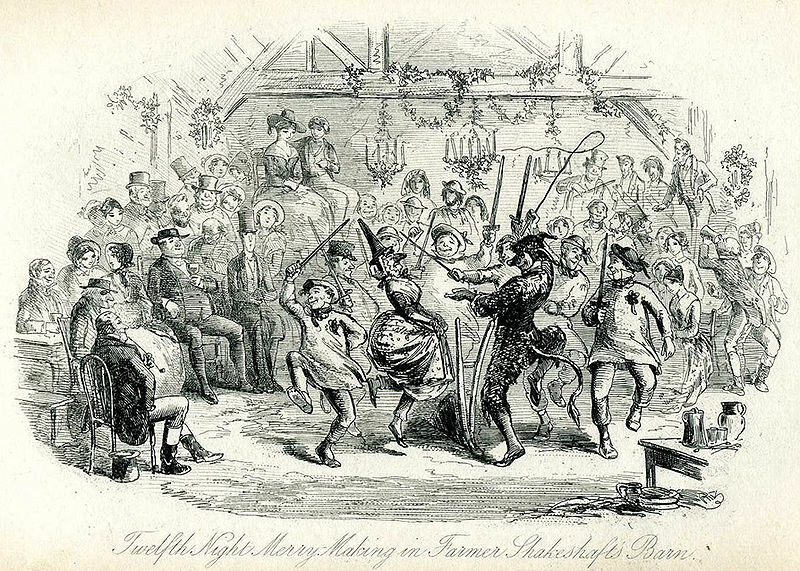 Yet, for those who lived in the extensive territories which were controlled by the king’s enemies, there was to be no Christmas this year at all – because the traditional festivities had been abolished by order of the two Houses of Parliament sitting at Westminster. I am glad that Regina answered this one, Ginna, my answer would have been far less informed! Wonderful excerpt. I have been following your blog tour and was thrilled to get a snippet of Elizabeth and the gift. Congratulations, Regina. I am looking forward to reading this. I always appreciate your support, Becky. Thanks for dropping by, Becky! I loved this excerpt. I think I like this Mr. Bennet. He seems much stronger in character and not as indolent as most JAFF portray him. I am never one to portray Mr. Bennet as "indifferent." He still takes pleasure in the foibles of those such as Mr. Collins, but he appreciates intelligence. Thought it very clever that you explained how it was that Wuckham came to be in the militia,of course there had to be some some underhand factor at play-he could ill afford to enter the militia himself so he was merely covers for someone else! Typical of Wickham!! Yes,I agre with others' views regarding Mr B. A very strong minded individual,determined to see his daughters well married,but happily so. Can't wait to read if their reactions on Christmas morning!!! Best of luck with this book! Those who held rank in the militia received that rank based on how much land the family held. Captain Denny in Pride and Prejudice would need either to be the heir of land worth at least £400 per year or actually own land worth at least £200 per year. Although we are given nothing of Denny’s background in Austen’s novel, we are told that George Wickham becomes a lieutenant in the Meryton militia. This is a bit confusing to many who know something of military history, for a lieutenant in the militia would be required to hold land worth £50 per year. To be a junior officer, Wickham must be serving in another's stead. Thanks for your comment, Mary, which taught me something that I hadn't known. Interesting! I always have to remember that Christmas was so different back then and still is in other countries and cultures. Thanks, Regina! Oh, I do love this Mr. Bennet. And didn't he just get a few digs into Elizabeth over her take on Wickham and Darcy. Look forward to reading it. Please do not enter me in the giveaway, Ceri! I appreciate your following me over here, Sophia, and congrats on winning a copy of the book on Darcyholic Diversions. Hi Sophia, thanks for dropping by! What a wonderful except. I love this Mr. Bennet, he is using his observation skills for more than amusement. Darcy getting Elizabeth in trouble is always fun. I'm already disappointed, that I'll have to wait for this treat until Christmas. The book is available, Kate, and reasonably priced. LOL! I know Regina, and by the way all of your books are reasonably priced, which I appreciate a lot. Oh, well, I'll have to have a very early Christmas and read it soon. I don't think I can wait three more months. �� I'll have to read another Christmas story in December. Read it twice, Kate. I love doing that. I am rereading one of my favorite series right now. Mr. Bennet proves a wonderful foil for our dastardly Wickham! I always enjoy seeing Mr Bennet being a good dad, Jo's Daughter! I hope you enjoy finding out what happens next. Oh I cannot wait to read this book! The book is fun and has its HEA, Leah. I hope you enjoy the book when you read it, Leah! Curling up with a Regina Jeffers' book is one the most enjoyable things I do. Her way with a turn of phrase is a well-practice gift for her readers, increasing the pleasure of reading her books. Thanks you, Betty. I will be sending new titles your way soon. LOL! Thanks for your comment, Betty! The cover art is from Victoria Cooper Art. She lives in my home state. This book was a 5 star read for me - excellent and not just for the holidays. Many thanks, Sheila. I am blessed with loyal fans. So glad you enjoyed it so much, Sheila, especially as I know what good taste you have. As busy as I am currently, this book somehow caught my notice and I am loving the excerpt. I can't wait to read the rest of the book (hoping I can get it down in Australia)! I love the thought of Elizabeth getting mysterious gifts from a not-suitor and it would be interesting to read further the interactions between Mr Bennet and Elizabeth in the wake of attentions being shown for the former's favourite daughter. The book is available on Amazon Kindle in Australia, Angela. As to the twists and turns in the story, I love keeping Elizabeth and Darcy apart until they have a better understanding of each other. I am glad you enjoyed the excerpt, Angela! Thanks for commenting. Love reading about the history of the Christmastide season and am looking forward to this Christmas "present" as well! Hi RS. Glad you enjoyed the post. Lovely cover art, Regina! I enjoyed the excerpt as well as the history of the Christmas season. Thanks for an opportunity to win a copy! The cover art is from Victoria Cooper Art. Turns out she is from my home state. Hi Pamela. So glad you enjoyed the post. I can't read excepts. I have to read books start to finish, but I can't wait to start this one! I always enjoy your books. Thank you for writing! Many thanks, Audrey. This one is a bit "lighter' in tone than some of mine of late. I know what you mean, Audrey. I keep saying that I won't read excerpts as I always want to read on, but I am too curious to resist them! And thank you for that compliment. I think we many times have the same taste in books.